Every year, around this time, the trees across our hometown begin to burst into blossom. Whilst not as impressive as the incredible Japanese cherry blossom displays, there’s something so uplifting about these delicate puffs of pink appearing all around the streets, hedgerows and parks. From deepest magenta to soft dusky puce, Nature knows how to put on a stunning show. Our Rosa linen range embodies the gentle beauty of Spring blossoms. We love this gentle, homely yet contemporary shade of pink – there’s nothing girly or brash about Rosa, just a subtle, relaxing, enchanting feel. Stonewashed for extra comfort, our Rosa linen is the perfect way to bring some lightness and simple, muted colour to your home. 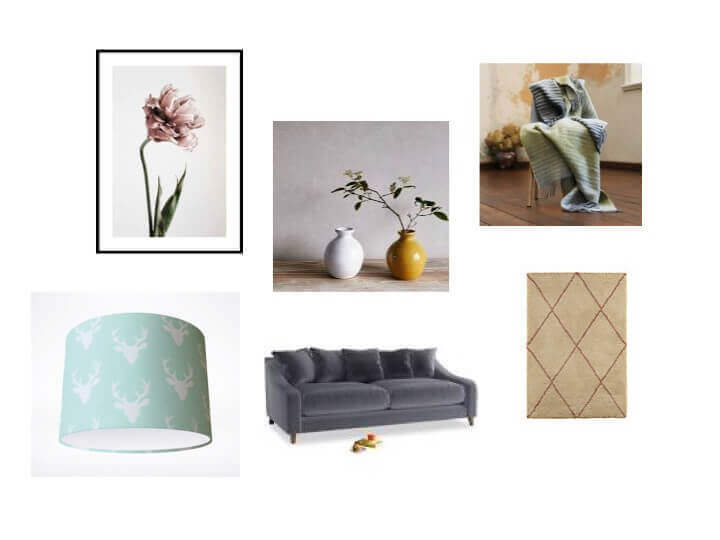 The whole range works brilliantly with matching items or with other palettes, such as our Spa Green or Plum Kitten textiles. Here, we’ve styled a complete matching set of Rosa linen bedlinen to soften a minimalist white background and added a pop of green with some plants and foliage. 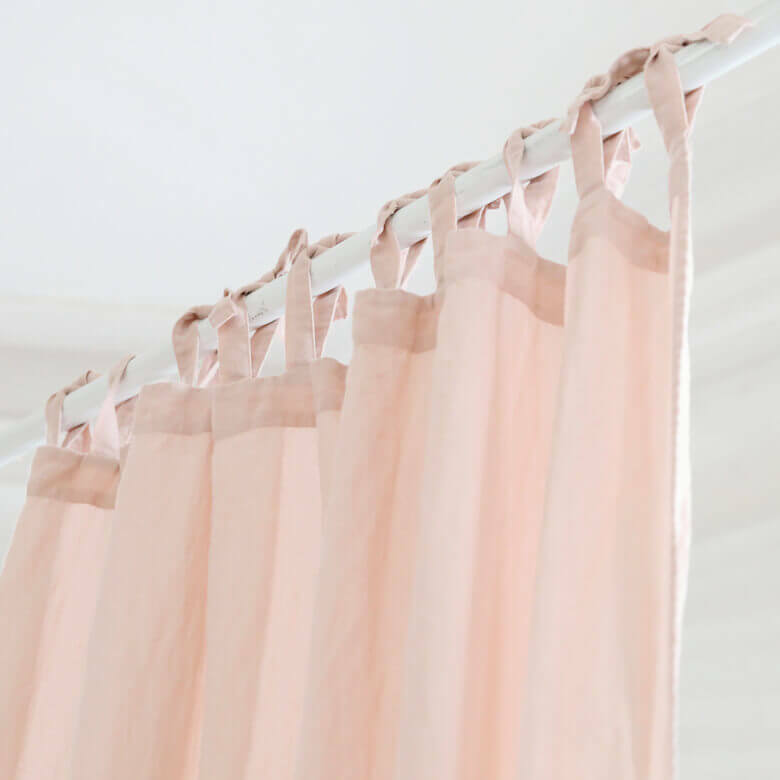 Hanging linen curtains can completely lift a room and our Rosa drapes will lend a gentle wash of colour. Linen is great for curtains as it’s heavy enough to keep out draughts and some of the light, yet the weave still allows sunlight to filter in. These will create a gorgeous pinky-toned glow in the morning sunlight, which is just perfect for Spring. Tie tops mean you can adjust the length of the hang according to whether you want the drapes to pool on the floor or to hang higher. Pink is said to symbolise caring and loving compassion. It’s a feminine colour and represents hope and positivity (‘everything’s rosy’ and ‘rose-tinted glasses’) but also works in harmony with stronger colours like deep greys, mustards and navy blues. 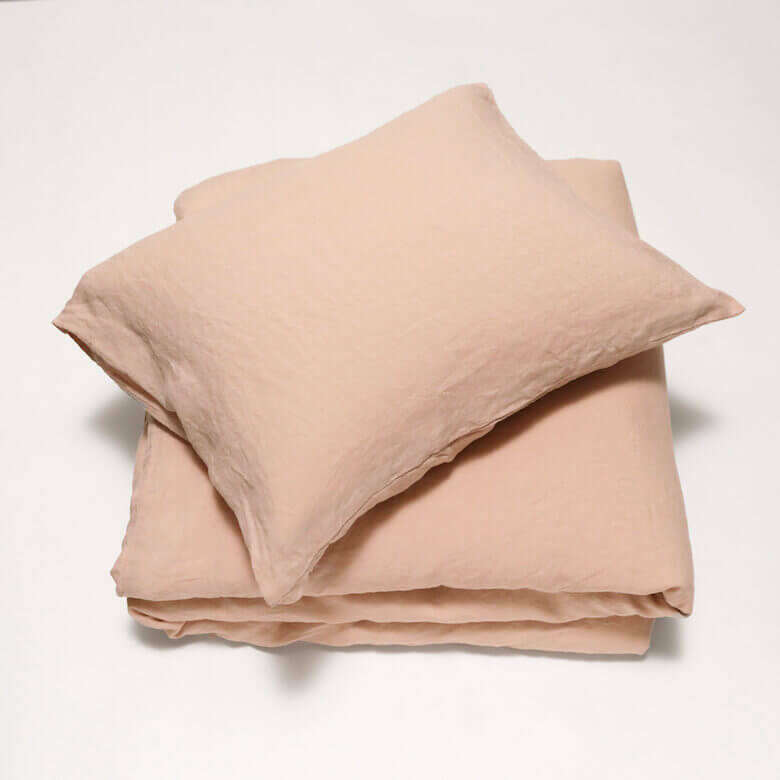 If you want to add just a subtle note of rose pink, our linen cushion covers will freshen up your sofa and are perfect for cozying up with of an evening. They also look fab scattered on a bed. If you need some new bedlinen this Spring then Rosa might just be the best choice. For these in-between weeks where the weather can veer from freezing to mild, linen bedlinen is an excellent choice because it will help regulate your body temperature and keep you sleeping comfortably all night long. A sumptuous set of Rosa linen pillow cases and duvet cover would make a lovely Easter gift too, if you want to avoid buying more chocolate and instead give a more considered present that will last for years. To make it that extra bit special you can use our bespoke monogramming service and have your loved one’s initials or a personal message embroidered onto the linen.